Many people are familiar with the plight of the Florida manatee, but Aristide Kamla has dedicated his life to the study and conservation of the African manatee in his native Cameroon. 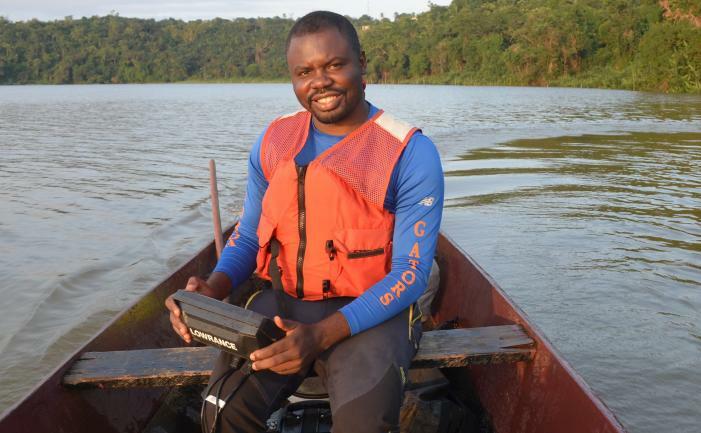 As he was beginning a Master’s degree program in Applied Ecology and Wildlife Management at the University of Dschang, Cameroon, he realized that almost nothing was being done to protect the aquatic megafauna of the area, despite the critical threats facing the various species that resided there. The more he learned about these unique creatures, the more curious he became, realizing it would be unacceptable to see them disappear. Therefore, he decided to invest his Master’s research on the African manatee. He sought out the local perception of manatees, illustrated the existence of fisher-manatee conflicts in two protected areas in the country, and mapped out their distribution and threats in the same areas. After earning his Master’s degree, Aristide established the first Fisher Stranding Network along the coast of Cameroon and created a mobile app to help report marine wildlife sightings. In 2014, he founded the first organization in Cameroon dedicated to marine mammal conservation, the African Marine Mammal Conservation Organization (AMMCO). Their mission is to contribute to the protection of the aquatic megafauna and their habitats in Central Africa by improving the scientific knowledge available, and involving fishers and other important members from the local communities in conservation efforts. Since 2014 they began providing environmental education to the local high school, reaching nearly 3,000 students in two years. In 2017, Aristide and his team developed the first bathymetric map of Lake Ossa. The map will be useful to orient decision making for the conservation and sustainable use of the lake. 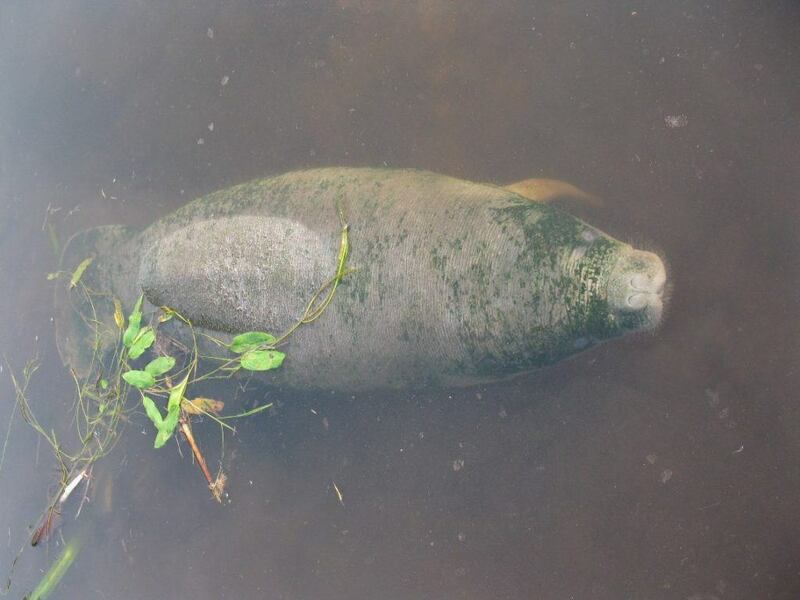 It will also be used to determine suitable and critical areas for the African manatees who live in the lake. Aristide has a clear vision for the future. He wants to see AMMCO become well established and the Lake Ossa manatee population stable. With this, he hopes the fishing economy will revive and thrive, and he can then focus his attention more broadly on the other marine species endemic to the region, while working to influence conservation policy at the regional level. For Aristide, community-based conservation implies that the local population’s needs are fulfilled alongside the needs of wildlife. To that end, he has participated in programs that improve the livelihood of the locals, like teaching fishers to be beekeepers and showing women how to preserve fish as a way to improve revenue, all the while teaching them why they should not hunt manatees. In the future, AMMCO will develop whale watching activities, plastic recycling programs, and encouraging locals to release bycaught sea turtles, sharks, and dolphins. They will continue to increase the participation of the local community in the decision-making of their conservation strategy, consulting with them during the design process, its implementation, and sharing the results with them. Currently Aristide is enrolled at the University of Florida, one of the world’s top programs for manatee work, and is on track for completing his PhD. WCN is proud to provide support in these early days of his career. As one of the few people studying the African manatees, he will be one of the pioneers in providing baseline knowledge of their ecology and conservation.